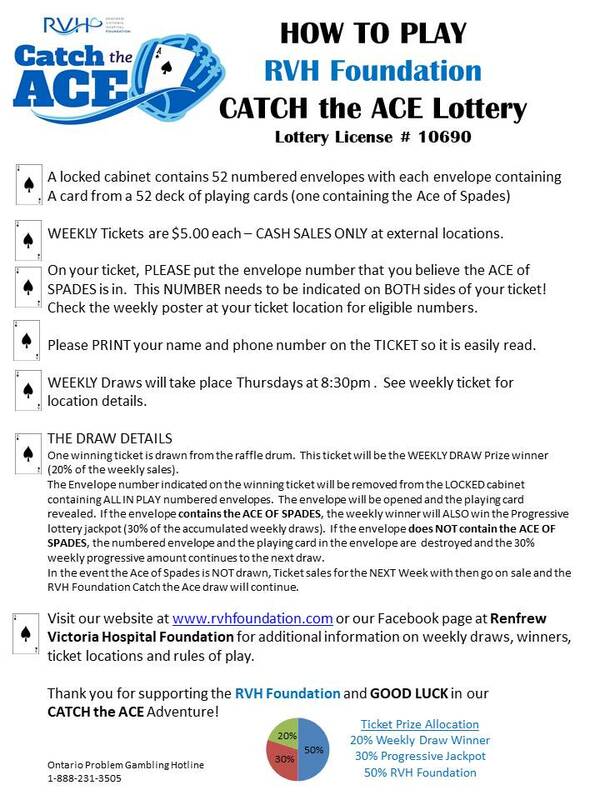 You’re invited to play the hottest new lottery raffle, “Catch the Ace”, and support Renfrew Victoria Hospital at the same time. The lottery starts with 52 playing cards individually sealed in envelopes numbered 1 through 52. These envelopes are put on display in the Renfrew Victoria Hospital Foundation office. Nobody knows which envelope contains the Ace of Spades – until the lucky winner catches it!